How this A&W Franchisee got their Mondays and vacations back! Since 1978, the D’Eon family has owned the A&W restaurant on the outskirts of Fort Macleod, Alberta. Now led by Dave and Corrie Anne D’Eon, the franchise has about 50 employees and dozens of suppliers. Business was steadily growing when they took over the restaurant, which in turn meant that they were spending more time on their books. Back then, they used paper cheques to pay every employee and supplier. On payroll alone, they had to print and sign over 100 cheques and then buy envelopes, stamps and printer ink — and then hope nothing went wrong at Canada Post. A good chunk of every other Monday was dedicated to this lengthy process. 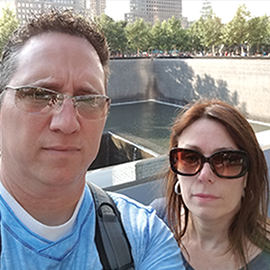 Dave and Corrie Anne also like to travel, but they had to plan holidays around payroll time. This caused a lot of stress, and it took away their freedom to take off when they wanted. Something had to change. Everything Dave and Corrie Anne learned about what Telpay could do for them turned out to be true. Their Mondays are now spent on more important things, like growing their business, and their family vacations are now just that — vacations. As for cost savings, what they were paying on envelopes, cheques, stamps and printer ink more than covers the monthly Telpay fee. Their employees and suppliers love it too, Dave says, because they get paid quicker. They can also rest easier knowing they don’t have to worry about whether or not a cheque will arrive in the mail.